Product prices and availability are accurate as of 2019-04-19 03:08:31 UTC and are subject to change. Any price and availability information displayed on http://www.amazon.com/ at the time of purchase will apply to the purchase of this product. 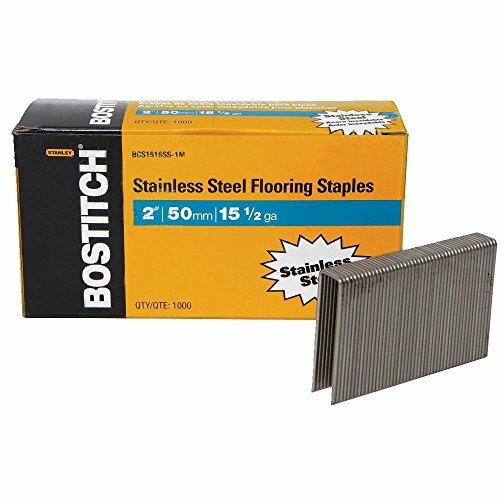 The BOSTITCH BCS1516SS-1M 15-1/2-Gauge Stainless Steel Flooring Staples are designed for use for hardwood flooring. 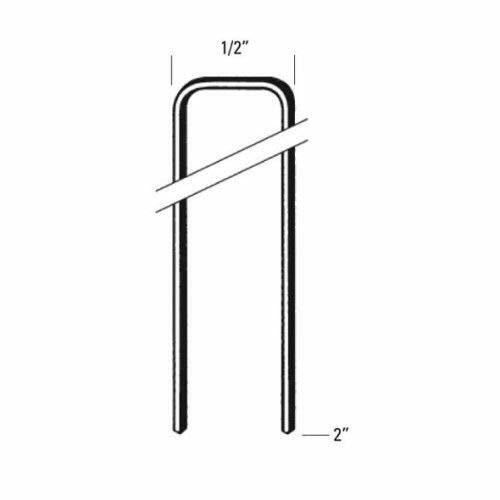 These staples offer a 2-inch length with a 1/2-inch crown, constructed of a 15-1/2 gauge flat wire for improved holding power and reduced wood splitting. This is a pack of 1,000 stainless steel staples. Commonly used with the Bostitch MIIIFS Pneumatic Floor Stapler and the DEWALT DWFP121569 2-in-1 Flooring Tool - fits in most flooring staplers.